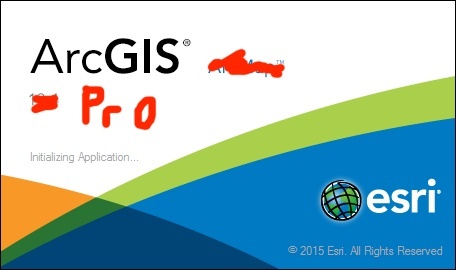 ArcGIS Pro has always had somewhat of a non-standard way of being licensed. I’ve never really gotten into it mostly because it revolves around “provisioning” and “logging in” to ArcGIS Online. Even if I felt a real need to get it to work, it just seems like a very annoying method of licensing software. Now since technically we aren’t paying for ArcGIS Pro licenses just yet, I suppose it doesn’t really matter1. But as I do want to at least get an idea of what Pro is, how it works and what it means to GIS workflows when/if it replaces ArcGIS for Desktop, licensing matters. I’ve not been to an Esri conference in almost a year so the ins and outs of Pro licensing have been lost on me but this tidbit yesterday about ArcGIS Pro moving forward was interesting. @AlexMahrou @cageyjames @williamscraigm ...and 1.2 will let you use concurrent licensing. So there you go, I’m guessing this means when 1.2 arrives this week, I can just point it at my existing license manager and away we go. I’ll install ArcGIS Pro, be impressed with the new UI and then realize it’s a dog and buggy as sin2. But 64-bit is a big carrot so depending on how the geoprocessing works, I can see myself embracing Pro, Python 3.x and 64-bit. Before the 1.2 release, the only licensing option available for ArcGIS Pro was through Named User licensing. This license model required authorization through your organization administrator on Portal for ArcGIS or ArcGIS Online. At 1.2, you now have two new licensing models available that don’t require you to go through a Portal for ArcGIS or an ArcGIS Online organization: Single Use and Concurrent licensing. With a Single Use license, ArcGIS Pro points to a file for authorization. The file is stored on the same machine that runs ArcGIS Pro. With Concurrent licensing, a given number of licenses are hosted on a License Manager (the ArcGIS License Server Administrator). ArcGIS Pro is then configured to allow organization members to check out an available license from the pool of licences hosted on the License Manager. While I did spend a lot of time photoshopping the splash screen above, here is the ArcGIS Pro 1.2 splash screen.